West Lake Garden Chinese Restaurant also sets up live stations to prepare various Teochew and claypot dishes. HAVING dim sum for lunch daily can be quite “sinful” to some but not for chef Low Kim Ong, who not only gets to binge on siew mai but also has the privilege to prepare it for his guests. 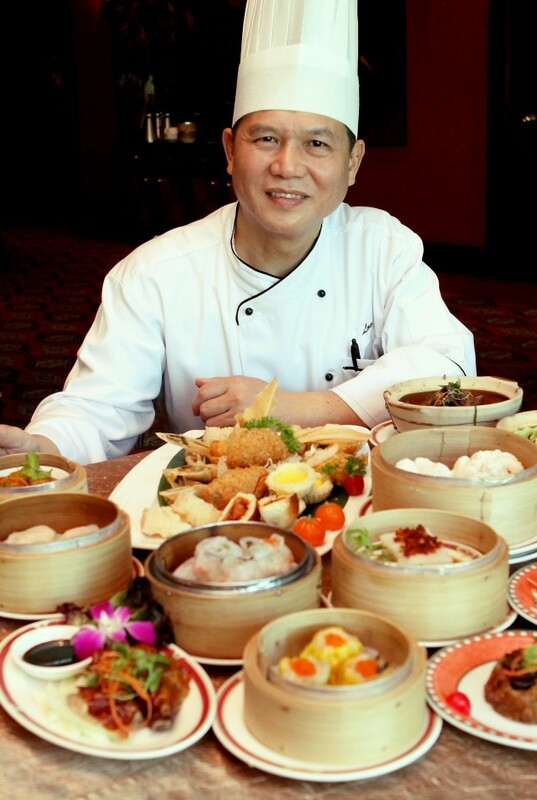 Dim Sum chef Low Kim Ong with his array of dim sum favourites served at the restaurant. 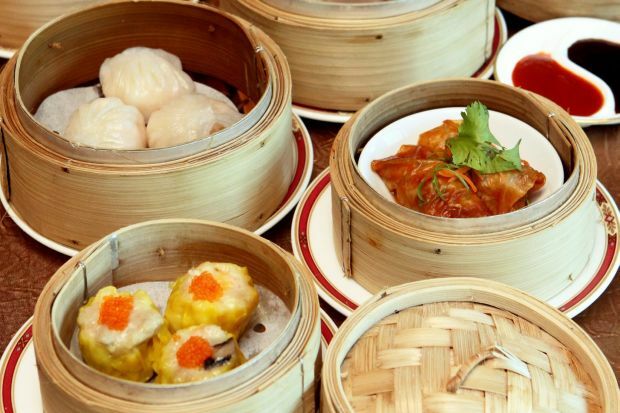 Dim sum is a must-have for most families, especially on weekends when they get to order an array of bite-sized dishes served in small round plates. Besides bringing the popular Hong Kong delicacy to diners, the West Lake Garden Chinese Restaurant in Sunway Resort Hotel and Spa recently also created a similar ambience to give customers a full dining experience. Staff members were not only on hand to take orders, they were also seen pushing carts filled with steamed and fried dishes for customers to choose from. “Sometimes, customers forget the names of the dishes they want but when they see it, they remember,” said Low, who also brought along a team of cooks from the kitchen to his ‘live’ cooking stations. Chefs are stationed in front of the customers to prepare Teochew and claypot dishes. The list of mouthwatering claypot dishes are Yeong Sam Pou (Stuffed Chilli, Eggplant, Bean Curd or Okra) Braised Rice Wine Chicken, Teochew Duck, Teochew Fish Ball, Braised Beef Tendon with Radish, Braised Fresh Fungus with Minced Ginger, Mixed Vegetable, Braised Egg and Beancurd in Soy Sauce, Mui Choy and Venison Rib with Chilli, and Braised Teochew Chicken Feet. My favourite was the Lamb Kut Teh — tender strips of lamb cooked in a herbal soup similar to bak kut teh. Each claypot serves up to two persons, hence sharing is highly recommended. A selection from six to eight varieties will be available daily and each pot is priced between RM12 and RM16. 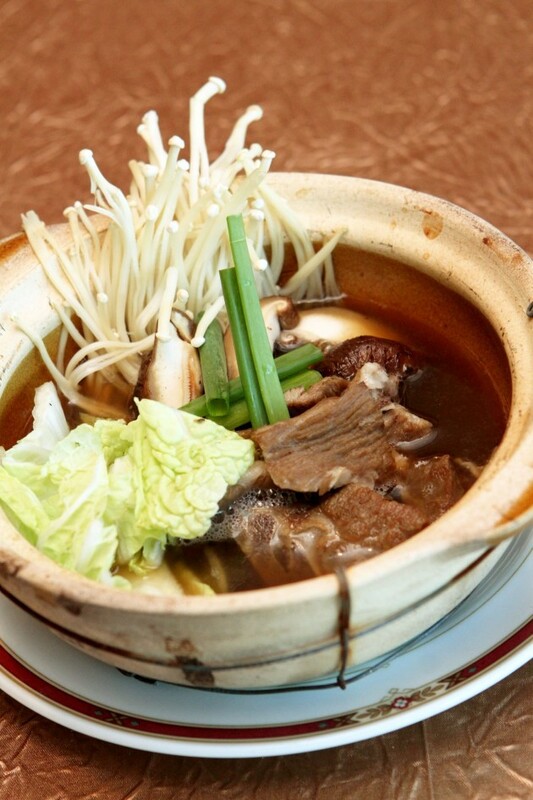 Must-try claypot dish: Lamb Kut Teh and Mui Choy. The two-paged menu, which has been redesigned to match the new concept, sees a column highlighting chef Low’s must-haves such as the Sliced Abalone and Chicken Dai Pau, Tri-Colour Dumpling, Pineapple Polo Pau, Stir-Fried Glutinous Rice with Waxed Meat, Steamed Yam Cake with Dried Shrimp and Yam Sauce as well as the Crystal Dumpling with Prawn. The Tri-Color Dumpling — chef Low’s latest creation — is shrimp dumpling wrapped in a translucent wrapper and topped with chopped carrot, black Chinese fungus and coriander. “Steamed dishes are still popular as customers find it healthier compared to deep-fried ones,” said chef Low, who also introduced some new fried delicacies such as the Deep Fried Spring Roll with Unagi and Dried Shrimp Filling. Rice and noodle fans can embrace the Steamed Chee Cheong Fun with Lobster Meat, Fried Hor Fun with Beef Slices, Nonya Fried Rice or the Seafood Fried Rice with Anchovies. To end your feast, try some of the desserts such as Red Bean with Sago, Sweet Potato with Ginseng, Tong Sui with Aloe Vera, and White Fungus with Longan Tong Sui. The a la carte dim sum is available during lunch hour with prices starting at RM8.